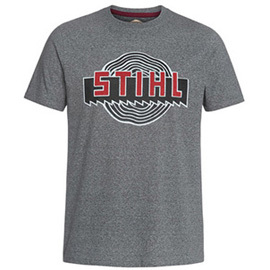 100% cotton, historical STIHL company logo printed on the front. Mottled grey. Sizes S – XXL.